Trump & DACA: What's Happening?! On June 15, 2012, President Barack Obama gave a speech in the Rose Garden of the White House. He announced a new immigration policy: Deferred Action for Childhood Arrivals, or "DACA". This program was created by an Executive Order (meaning the President used his power as the head of the Executive Branch to create the law without the assistance of Congress) that directed immigration officials to use discretion when dealing with individuals who met certain requirements. These individuals could fill out an application with the United States Citizenship and Immigration Services (USCIS) and pay an application fee. Again, this program is discretionary. This means that even if an individual meets all of the above requirements, he or she may not be granted DACA status, depending on the decision of the immigration officer reviewing his or her application. So, what does DACA do? Most importantly, it protects the recipient from being deported. It allows the recipient to legally work in the United States, by giving him or her a work permit. It allows the recipient to apply for a Driver's License, and the recipient also receives a Social Security number. Finally, under very limited circumstances (usually a death or illness in the recipient's family), this program allows the recipient to travel in and out of the United States. Each time DACA is granted, it is only effective for two years, but each recipient can apply to renew his or her DACA status (any pay the accompanying application fee). However, DACA does not allow recipients to receive public assistance, such as Medicaid, SSI, or Food Stamps. Today, September 5, 2017, President Trump decided to terminate the DACA program. Attorney General Jeff Sessions made the announcement Tuesday morning, arguing that President Obama's action was an unconstitutional use of executive power, and Congress should pass the law. President Trump's new policy will allow Congress 6 months (until March of next year) to pass a law protecting those who currently hold DACA status. Otherwise, the 800,000 individuals who are currently working, driving, and living without the constant fear of deportation from this country will once again be forced into the shadows. Why did Trump decide to take action? Many Republicans have long felt that any change in immigration policy needed to be implemented through legislative action, rather than unilaterally as an Executive Order. They believe that Congress should preserve DACA by making writing it into the federal statutes, which would be a more permanent solution and protect DACA recipients in the long term. The problem, though, is that Congress may not be able to come to an agreement about DACA in time. Many Republicans do not believe that DACA recipients should be allowed to remain in the United States, because they are breaking US immigration laws. 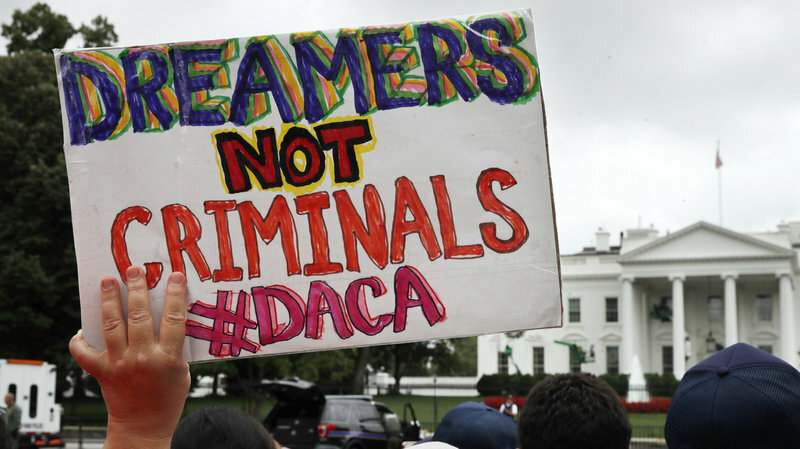 Other Republicans argue that DACA recipients are in the United States illegally through no fault of their own, and should have some recourse. Many Democrats agree with this, but some believe that the DACA program should be expanded further to give a path to citizenship to these young people. There are over 800,000 people in the United States who currently have DACA. According to the Center for American Progress, the United States could lose more than $460 billion in lost revenue over the next decade if President Trump ends the DACA program. I know today is a terrifying day for those of you who have DACA status. Please know that we support you and are here to help in any way we can. If you would like to stay updated of changes in the law and receive recommendations of what to do next, enter your information below and you will be placed on our email list for DACA recipients and applicants. We will update this blog as soon as more information is available.